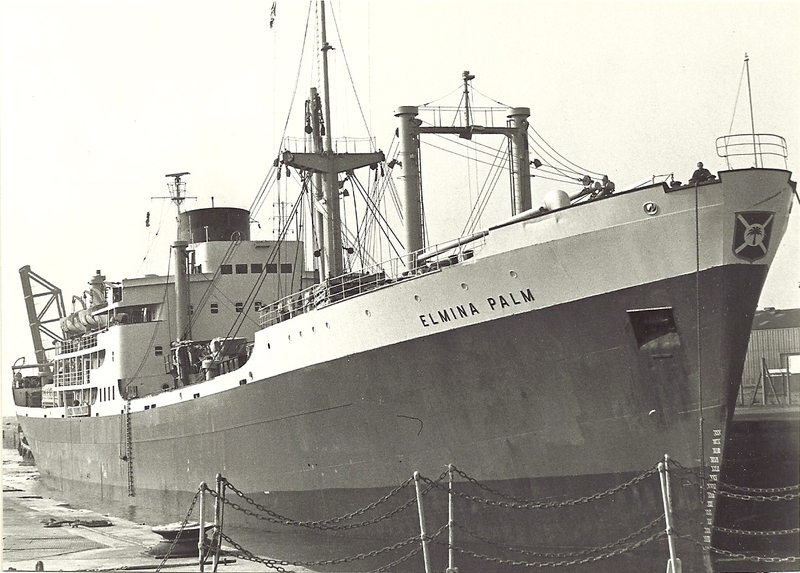 Palm Lines ELMINA PALM in Tilbury locks. 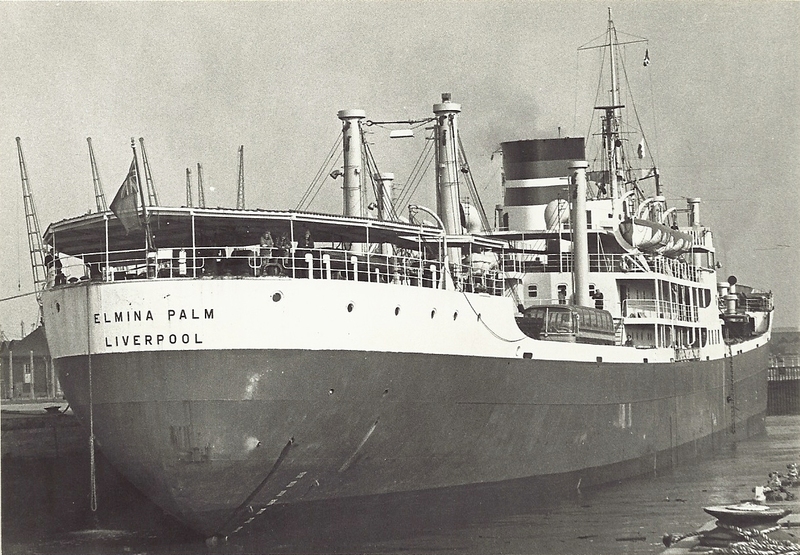 She was built in 1957 and was used on the West Africa trade. 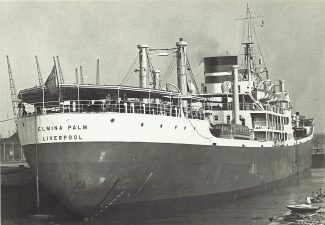 Sold in 1977 and became the CYPRUS SKY then the EASTERN SKY before being broken up in 1981 as the EUROPEAN LIBERTY in Turkey.